Wallace Chevrolet > Android Auto > 2018 GMC Terrain – All You Wanted to Know! 2018 GMC Terrain – All You Wanted to Know! The all-new 2018 GMC Terrain is here and it’s a whole new vehicle! Here’s all you wanted to know about the new model. As you can see the 2018 GMC Terrain looks completely different than the model it replaces, ushering in the next chapter of GMC design. Sharply creased headlights and a large front grill help Terrain stand out from the competition, as does the tapered rear end and boomerang taillights. All models feature LED daytime running and tail lamps, while Bi-functional headlamps are standard on SLE and SLT trims. Opt for the Terrain Denali and you’ll get full LED headlamps and 19-inch ultra-bright aluminum wheels, while the signature Denali satin chrome grill, body-colour fascia, chrome trim and roof rails and more help set it apart even further. Overall, it’s very striking and attractive design and one that our clients seem to love already. The new GMC Terrain also provides more choice as a trio of all-new turbocharged engines are yours for the picking, including an all-new 1.6L turbo diesel! Two all-new gas engines also debut (a 1.5L inline-four-cylinder & 2.0L four-cylinder), as does a new smooth-shifting 9-speed automatic transmission which you’ll get with either engine. Plus, GMCs new Electronic Precision Shift creates much more room in the centre console by replacing the conventional P-R-N-D-L shifter with neat push-pull toggles easily located at the bottom of the dash. 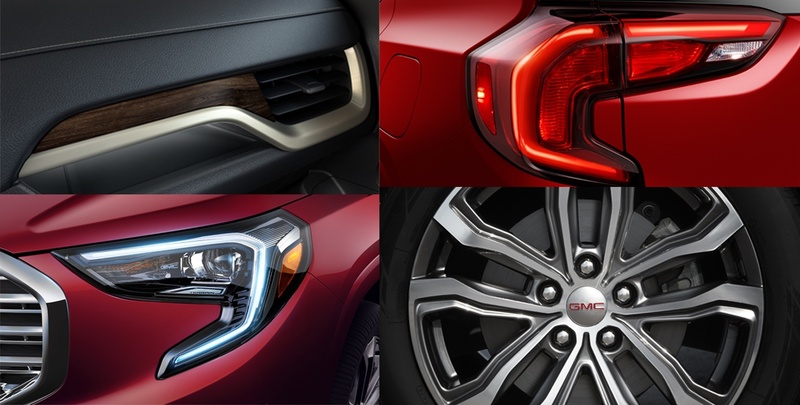 Step inside and you’ll see GMC went the extra mile. Even as standard you’ll find authentic aluminum trim, soft-touch materials, premium features, standard active-noise cancellation and a 7-inch IntelliLink touchscreen with Apple Carplay & Android Auto. Other neat touches? The centre console now includes a new pass-through storage compartment for easy storage and side-by-side cupholders. Plus, you’ll never be afraid to load up longer items thanks to a fold-flat front passenger seat and fold-flat rear seating. 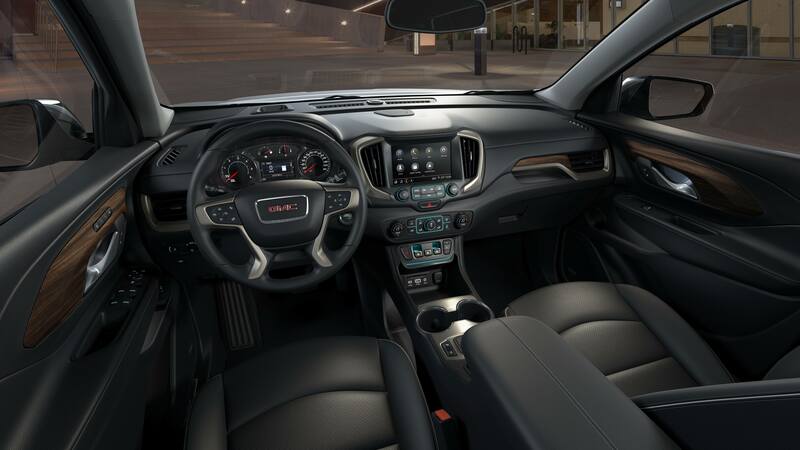 There’s so much to learn about the new GMC Terrain! Have any questions? Let us know in the comments, stop by 801 Main St. E, Milton or give us a call 1-888-878-2354 today!